"Special mention for Josh Foster.Impressive and really on the ball." * Price does not include road fund license. This vehicle may not be available from this dealership immediately please contact us to arrange a viewing. Library images for illustration only. Low Cost Financing Available - CALL TODAY! Our Lowest Price Within 3 Minutes. £100 Voucher Vehicle Enquiry Call Me Back Test Drive Request a Brochure Beat The Price Value My Car Email Similar Get Your Finance Offer Can I Get Credit? 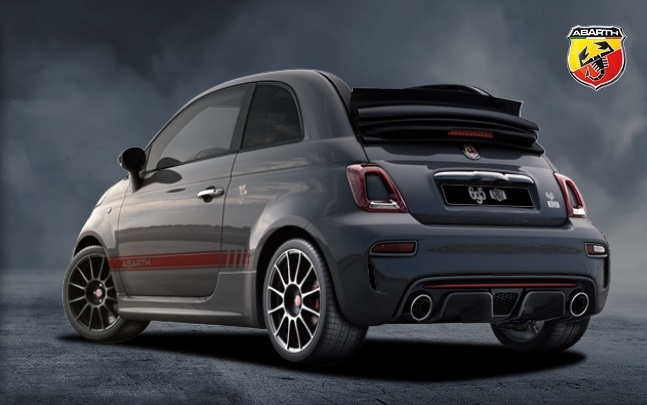 Get access to the UK's best vehicle finance providers offering the best, tailored finance quotes to suit you on this new Abarth 695 car. *Applies to new car stock only that is available at our dealerships to drive away today. Finance subject to status guarantees may be required. This promotion cannot be used together with other manufacturer or other promotions and is subject to availability at participating Cambria Automobiles PLC dealerships. Failure to meet payments may affect your credit rating. Cambria Automobiles PLC are the advertisers and will act as introducing brokers on behalf of the lender who may pay us for introducing you. The quoted prices and finance examples shown reflect the current rate of 20% VAT. Offers may be varied, withdrawn or extended at any time. Prices correct at time of publication. Price excludes metallic and pearlescent paint unless stated. Cannot be used in conjunction with any other offer. We are a credit broker and not a lender. We can introduce you to a limited number of lenders who may be able to finance your purchase. We can only introduce you to these lenders and may receive commission or other benefits for doing so. The Abarth 695 shown in the following video is a representative example only of the car available for purchase from us today. Features and specifications will vary depending on model. Please contact us for full details. There are no other offers for this make and model.